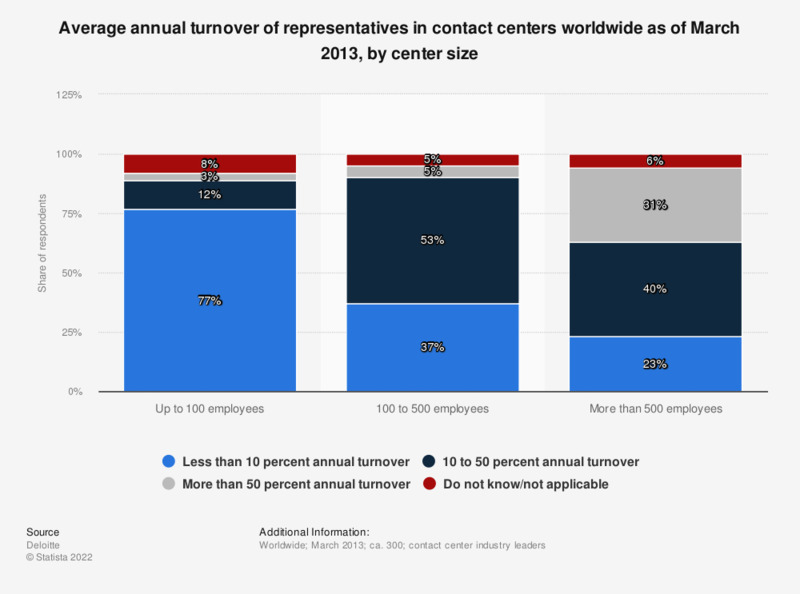 This statistic shows the average annual turnover of representatives in contact centers worldwide as of March 2013, by center size. During the survey, 31 percent of contact center industry leaders in organizations with more than 500 employees said their average annual turnover of representatives was more than 50 percent. What are the main drivers of growth within your contact center(s)?